WesternOne​, your one-stop shop on Vancouver Island for tool and equipment rentals and sales, is North Vancouver Island's only authorized Polaris ATV and Ranger/RZR Utility Vehicles dealer. WesternOne is also Vancouver Island's exclusive dealer for Polaris snowmobiles. Factory-trained and factory-certified Silver/Gold technicians are on hand for any servicing or repair need, and financing is available. For more information, call 250.339.4518 (local) or 1.877.339.4518 (toll-free). You can also use their Request a Quote online form. In addition to equipment rentals and sales, WesternOne now offers IVES Operator Certification Training. 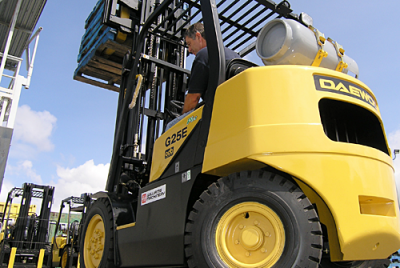 WesternOne will teach you everything you need to know about safely operating counterbalance forklifts, rough-terrain forklifts, scissor lifts, and aerial lifts. IVES certification courses meet or exceed all applicable safety requirements, industry standards, and government regulations. Training is available in a classroom setting or on-site. To find out more, call Greg Phelps, IVES Certified Trainer, at 250.667.0665 or WesternOne in Courtenay at 250.331.0748. Safety is their goal — make it your goal, too! 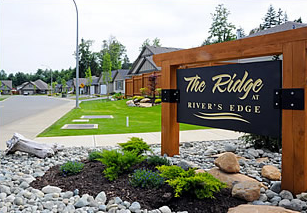 The Ridge at RiversEdge is a new riverfront home development in the Comox Valley on Vancouver Island. Perfectly situated on the southwest side of Vancouver Island's Puntledge River, The Ridge at RiversEdge in Courtenay is surrounded by nature at its finest. The Ridge at RiversEdge is a preplanned single-family neighbourhood on private property on a no-through street where all homes are single-level ranchers, so there will be no two-storey homes looking down on your property. In addition, you'll never have a neighbour in your back yard. Your investment is protected by a sensible registered Homeowner Schedule of Restrictions designed to enhance the quality of life and increase the future value of your home. The owners of Southwind Homes actually live at RiversEdge. 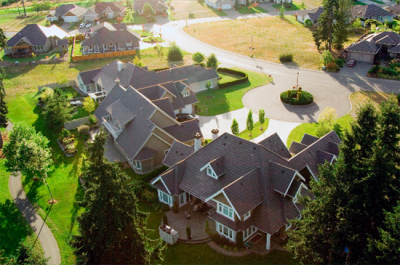 When developers live in a neighbourhood, you can feel secure knowing they'll be there for all and any issues that arise during the 10-year warranty period. The Ridge at RiversEdge is a private property consisting of 24 homes, with the street and streetlights being the only common areas. 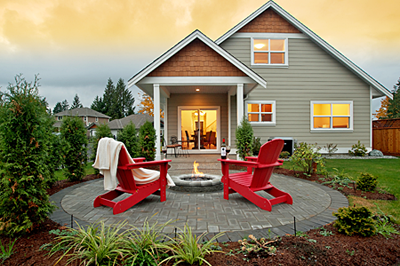 The new ranchers at The Ridge at RiversEdge are also the lowest-priced new homes anywhere in the Comox Valley. Considering the quality of workmanship and materials, Southwind provides the very best products for your money, says Meyers. To tour the townhomes and duplexes at Railside Lane in Courtenay, drop by an open house at 3 - 1620 Piercy Avenue, held Saturdays from 1:00 to 3:00 p.m. For more information, contact Scott Fraser, PREC, of Royal LePage at 250.334.3124. Have you considered a beach vacation on the west coast of Vancouver Island in the winter? Storm watching is a major activity in Ucluelet and Tofino. West Coast storms are wild, with howling winds, crashing waves, and tremendous rains as Mother Nature unleashes her power. On a calm day, the angled growth of the trees and vegetation is testament to the fury of the wind on stormy days. With your own vacation cottage at Reef Point Cottages, you can enjoy the storm from the comfort of your own hot tub. The resort currently has a private waterfront cottage for sale: a low-maintenance 956 square-foot home with two bedrooms and two bathrooms. Set your real estate development apart by making it Power Smart! Elemental Energy Advisors on Vancouver Island is reporting that BC's Power Smart New Home Program has new eligibility requirements. Effective October 1, 2013, you must provide EnerGuide labelling within six months of your occupancy permit to be eligible for Power Smart incentives. Developers must achieve an Energy Guide rating of 80 and above to qualify for incentives of up to $200 per home for row houses, townhouses, and duplexes, and up to $2,000 per home for single-family dwellings. All four of these products need to be installed to qualify for the rebate. Dishwashers are no longer included in the offer. The certified energy advisors at Elemental Energy Advisors can guide owner-builders and Vancouver Island new-home builders through building a more energy-efficient home. Their goal is to help reduce your utility expenses while conserving energy that benefits our environment. Contact Christi Sacht from Elemental Energy Advisors at 250.830.8000. For more information on the Power Smart New Home Program, visit BC Hydro's website. 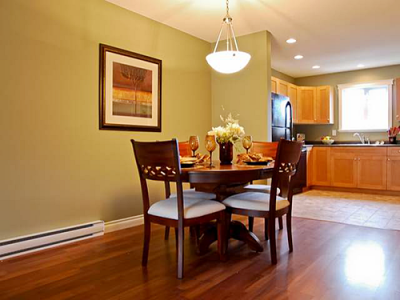 Lots at The Ridge range in size from 7,000 to 12,000 square feet and start at $169,900. For more information, call 250.650.8588, visit their website, or use the "send message" button below. 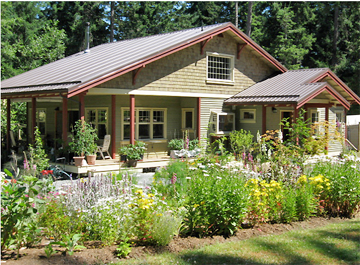 Nutmeg Homes is an award-winning custom-home builder in the Comox Valley that specializes in buildling custom homes with insulated concrete form (ICF) construction methods. Inspired Spaces by Harbour Kitchens & More Inc. in the Comox Valley combines two great businesses in one: Inspired Spaces specializes in Murphy beds and Harbour Kitchens in kitchens, vanities, and millwork. An established Comox Valley millwright company, Inspired Spaces & More has extensive experience in the manufacturing of entertainment units, fireplace mantels, commercial offices, and customized furniture pieces. Their meticulous attention to detail and quality craftsmanship will ensure your kitchen is a showcase of both fashion and function. Just imagine the family meals, cozy dinners with friends, or large gatherings you’ll be inspired to create in your new kitchen. Contact Inspired Spaces today at 1.888.686.3535 and start creating your inspiring space. 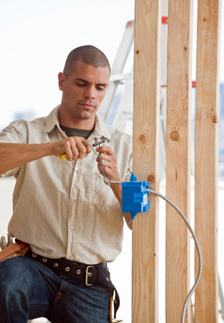 Do you need a reliable electrician on Vancouver Island? 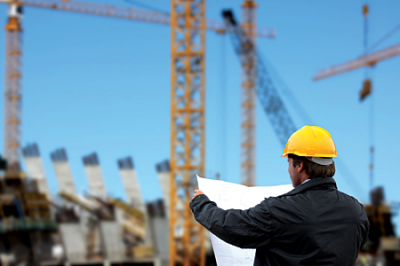 Call the experts at Tilley Electrical Contracting for quality completion of your electrical contracting jobs. Serving the Comox Valley and Vancouver Island for more than 10 years, these electricians specialize in controls, communications, and residential and commercial wiring. Their commitment is to provide quality service and dependability to their customers at competitive prices. Call Tilley Electrical at 250.331.1844 for 24-hour emergency service or to schedule an appointment. Free estimates are always available. For more information, visit their website. Outlook Land Design Inc., a civil engineering and landscape architecture consulting firm in the Comox Valley, has been serving Vancouver Island since 1999. Firm principal Tim O’Brien, P.Eng., MCBSLA, is a professional civil engineer and registered landscape architect with over 25 years of design and construction experience. new mini-storage facilities in Royston and Cumberland. 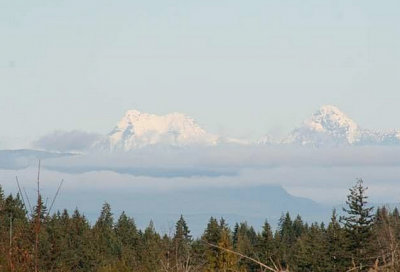 Tina's current listings include two residential building lots at Forbidden Plateau on Vancouver Island. Located northwest of Comox, Forbidden Plateau is situated between Mount Washington Alpine Resort and Mount Albert Edward. 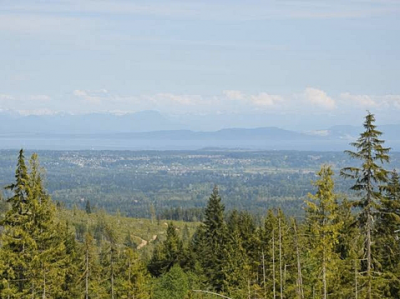 The residential building lots at Forbidden Plateau offer spectacular ocean and mountain views, and some overlook Comox Harbour, Johnstone Strait, and the coastal mountains. Priced at an unbelievable $169,000, these building lots are perfect for building a new custom home that takes advantage of the incredible location and breathtaking view. Abundant recreational opportunities in the Comox Valley are just minutes away, so you can ski, golf, and fish all in the same day! To view an online slide show for the lots at Forbidden Plateau, click here. 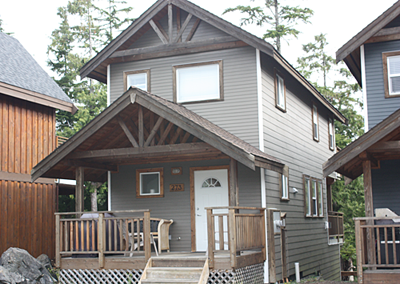 For more information on this listing, call Tina Vincent, PREC, Comox Valley Realtor, at 250.792.2776. You can view Tina's other Vancouver Island listings on her website. In the heart of the Cowichan Valley on Vancouver Island, you'll find Stone Manor Estates, a new real estate development just minutes from the centre of Duncan. Featuring residential lots and new homes built in craftsman or heritage style, Stone Manor Estates is being developed in two phases. Phase 1 is nearly sold out, and Phase 2 will feature several upgrades, including building lots backing onto green spaces, a no-through road, and a cul-de-sac. Prices for single-family residential lots in Phase 2 range from $137,900 to $169,900, while two duplex lots are priced at $184,900 and $189,900. As Canada’s only Maritime Mediterranean climatic zone, the Cowichan Valley offers a unique, mild microclimate and the warmest mean year-round temperature anywhere in Canada. More than 20 wineries have planted roots here, along with an abundance of artisanal producers, organic-produce suppliers, and slow-food chefs. The residents of Stone Manor Estates relish the Cowichan Valley’s natural beauty and easy access to lakes, marinas, and recreational activities, without sacrificing the convenience of city living and close proximity to shopping, restaurants, schools, and community services in Duncan. stop by the open house at Stone Manor's Presentation Centre, now open Saturdays and Sundays from 12:00 noon to 4:00 p.m.
We have big news to report from Crown Isle Resort and Golf Community in the Comox Valley on Vancouver Island! Site servicing and road work for Phase 1 of Hampton Gate at Crown Isle are now complete. Hampton Gate is Crown Isle's first gated single-family residential community, and 45 new residential lots are planned in two phases. Nine lots in Phase 1 have been sold, leaving 11 lots priced from $185,000 to $260,000; some of these lots feature golf-course views. Enjoy the peace and tranquility of the Crown Isle lifestyle, with the added security of a single gated entrance. Custom builders, including Homes by Crown Isle, are waiting to design and build your new custom dream home at Hampton Gate. An extension to Crown Isle Drive means 25 additional building lots will soon be available for sale, including 13 backing onto the golf course. Ten lots have been reserved, leaving 15 priced from $195,900 to $269,600. These new residential building lots are expected to be registered in November 2013. Don't miss out on your chance to build your new custom home in Crown Isle; reserve your lot today! "Come for a tee time, stay for a lifetime," holds true for so many people who have chosen to build their custom home in this spectacular Vancouver Island golf resort community. Crown Isle Resort and Golf Community is an established master-planned neighbourhood with nearly 1,000 homes built over the past 20 years. At the core of the community is a championship 18-hole golf course and resort centre. Crown Isle offers something for everyone and is the perfect place to build your new custom dream home. Design integrity lies at the heart of relationship-centred design. After a client completes a detailed questionnaire, the Gower Design team considers both the structural and aesthetic integrity of the home: how its exterior and interior relate to one another; how it relates to its surroundings; and how it reflects the personality, preferences, and lifestyle of the people inside. None of this is possible without a designer-client relationship based on integrity. Some clients are worried that their budget won’t be respected or that they’ll be up-sold and pushed into spending more money than their budget allows. Clients can attest to Gower Design Group's commitment to design integrity and client satisfaction. In addition to designing carefully tailored single-family custom homes and planning home renovations, Gower Design Group has an extensive portfolio of stock house plans available through BC Mountain Homes. These architecturally distinctive, pre-designed house plans can be modified to suit your needs and lifestyle. From modest to luxurious, each plan is crafted to provide you with a simple, comfortable, yet elegant home that fits your life beautifully. Whether you choose to build a custom home, modify a stock house plan, or renovate your current residence, Gower Design Group will create a living space that's a perfect fit for you, one that nourishes the spirit, the community, and the land. For more information, call 250.871.8765 (local), 1.877.366.2502 (toll-free), visit their website, or follow them on Facebook. You can also browse and order stock house plans via Gower Design Group's online catalogue. 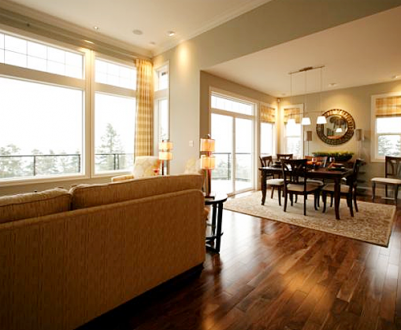 Moving into your new Vancouver Island home is a breeze with Delaney Relocation Services. They've been helping Vancouver Island residents pack, move, and relocate for over 10 years. Located in the Comox Valley, Delaney Relocation Services provides a range of packing, moving, and relocation services in the Comox Valley (Comox, Courtenay, and Cumberland), Campbell River, Powell River, Nanaimo, Parksville, and Qualicum Beach. 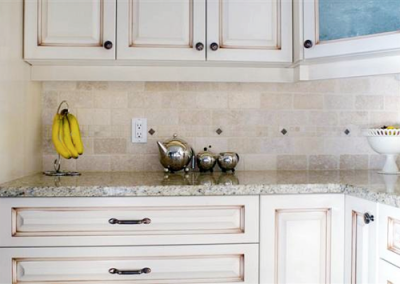 From kitchen cupboards to home electronics, Delaney Relocation Services will help you move and settle into your new home. Although Delaney Relocation Services can help people of all ages, they specialize in helping seniors pack, move, and relocate. 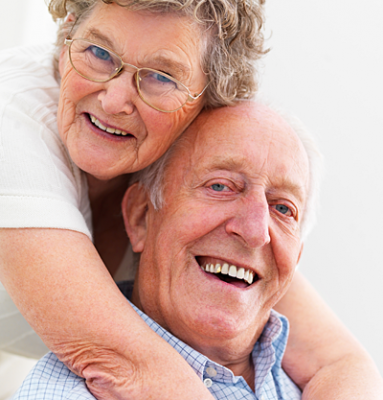 Moving is a complicated process at any age, but can be particularly difficult for older adults. Delaney Relocation Services will simplify your move in a variety of ways, including space planning for your new home, disposing of unwanted or unnecessary items, cancelling or transferring utilities, and coordinating your move. 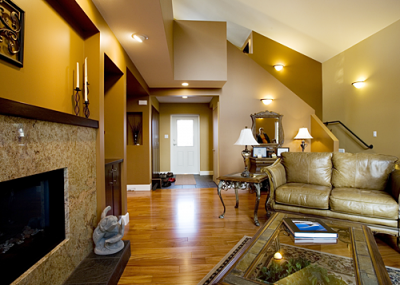 They also offer a complete range of home-support services once you’re settled in your new home. The company is a member of the National Association of Senior Move Managers and of Professional Organizers in Canada. Working on Vancouver Island from Campbell River to Nanaimo, providing top-quality care throughout a move is always their top priority. Delaney Relocation Services can coordinate your move with other moving service providers, including Vancouver Island Auction House, All Secure Storage, Seniors Services Under One Roof, Clarkes Household Moving, and Integrated Technologies. For more information or to book a free one-hour consultation and written estimate, call 250.339.1188 (local), 1.866.210.2064 (toll-free), or visit their website. Compare rates to traditional movers and see how much you can save. Discover how easy packing and moving can be with Delaney Relocation Services! Book your suite at Casa Loma, pay your deposit, and the full cost of your move could be covered! 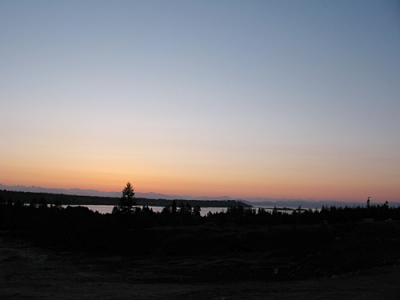 New Residential Lots For Sale With Legal Secondary Suites in Cumberland on Vancouver Island. Sixteen of the 34 residential lots available in Phase IV at Coal Valley Estates in Cumberland on Vancouver Island have been sold. This Comox Valley subdivision is located west of the Village Centre and north of Camp Road in Cumberland and has been zoned to accommodate secondary suites of up to 700 square feet in size. 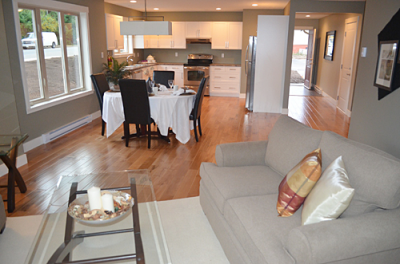 Lot sizes vary from 450 to 650 square metres, and prices of the lots start at $105,000. Multiple lot pricing is also available. These lots offer mountain views, and are within walking distance to the elementary school and many of the wonderful biking and hiking trails in the area. 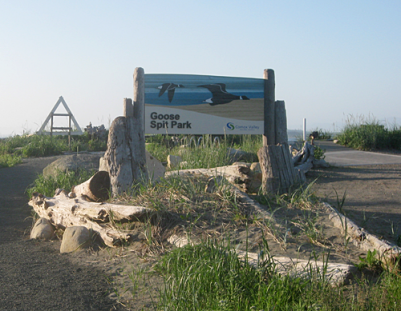 The beautiful Comox Valley has many activities that truly make it Canada's year round playground. Your key to enjoying this wonderful area is finding the right location for your next home that fits your budget, lifestyle, and tastes. Whether you enjoy mountain biking in Cumberland or boating in Comox, you'll love your new home in Coal Valley Estates. For more information, contact Scott Fraser PREC of Royal LePage at 250.334.3124.